Many consider a one-storey house to be more visually appealing than a two-storey house. In fact, there are a lot of great designs for a single-level house. And if you find the stairs to be inconvenient or cumbersome, a well-designed one-storey house is what you should look for. Midori house is a modern one-storey house you can build anywhere in Roxas City and nearby locations. It is ideal for an 80 sq m lot area. This house is suitable for the newly weds, retirees, and growing families. Grace house is a modern one-storey house you can build anywhere in Roxas City and nearby locations. It is ideal for a 95 sq m lot area. This house is suitable for the newly weds, retirees, and growing families. You can build any of these houses on your existing lot in Roxas City. But we also have available and very affordable lots within the city proper and near Baybay beach, our most famous coastline in Roxas City. All our lot listings are inside subdivisions so you can be assured of greater security; quiet neighborhood; standard amenities which are carefully checked by the city government; and great accessibility to business establishments, banks, schools, and hospitals. Call us now and request for an official site visit so we can show you the available locations and provide you with full computation details and everything you need to know about acquiring a property in Roxas City. Feel confident about your home purchase. Deal only with PRC-licensed real estate broker who will act in your best interest and guide you every step of the way. Hi Ms. Lalaine, We are now looking into our archives for additional images of Bettina House and will email you (asap) also the details of 2 year term. An update to all our readers: The former Andrea and Bettina houses are now called SA36 and SD50 houses. Hi Charlotte, thank you for inquiring. We’ve just added more pictures to SA36 and SD50 house models. The only difference between SA36 and SD50 houses are floor areas and number of bedrooms, so we’ve put pictures in one group. I’ll email you details of payment terms, so please check your inbox in a short while. Check also your Spam box in case my email won’t appear in your inbox. Thank you and GOD BLESS. HI JEN! PLS PM ME IN MY EMAIL. I AM INTERESTED TO BUY HOUSE & LOT. THANKS! Hi Twinkle. Jen has already replied through email. Please feel free to proceed with inquiry. Have a great day! Hi, just want to know where is this caroline house located? Which part of roxas city? How much will be the downpayment or equity?and how much is the total monthly payment if its 2years? Im interested.thank you. Hi Ms. Nanette, please check your email now for complete details about Caroline House. Thank you. Hi Brian, Jen will send you today the payment terms of SA36 and SD50 for 10 years and 15 years. As of now we only have 15 interior photos of SA36 and SD50; just use the slider buttons below the smaller photos under “SA36 and SD50 Model House Pictures” to view more photos. Thanks for inquiring. Want to know if where is SA36 and SD50 house located? Can I have a copy of their computations? Hi Jeanette, SA36 and SD50 houses are in Costa Verde subdivision, Cagay. Please check email for complete computation details. Let me know if you have more questions. Thanks for inquiring. God bless. Hello Joanna, we’re sorry to forget to put a label in our House at Tanque. This house is not brand new and belongs to our list of elegant houses (it’s only there for additional option). Unlike our brand new houses (Caroline and Danica), this property only accepts cash payment or 50% down payment and the rest of the balance payable in 6 months. Hello I am interested with your house and lot in roxas city. What are your available units? My budget is 1.3-1.6m.. I like duplex type of house. Can you please email me the which package suits my preference? [edited]. Thank you. Hello Melissa, for a duplex house we recommend Caroline and Juliet units in West Lake Villa. There are already existing model units there where you can check its actual design and quality. Just let us know of your convenient schedule for a site trip and Jen will show you the brand new houses. Thank you for the inquiry. Iam interesting to buy a house and lot. And how to contact u!! !in person? Hello Rosalie. You can contact me anytime using any of the phone numbers above. I’m just here in Roxas City and we can meet anytime. Hello Juvy. We’ll send sample computation of our recommended one-storey unit via email. For convenience, you can also click any house photo above to view complete information of each house and lot package. good morning! We are looking for a house in pwede in-house financing .Yong Ignatia po b Malapit lng s beach? Balak po kc nmn magbakasyon jan ths April at maghanap Ntn ng bahay. Hello Anna Mae. Yes Ignatia house is available in our beachfront subdivision, San Antonio Resort Village, and you can avail of our in-house financing, although, it has higher interest rate (22% per annum) compared to bank financing which is only 6% per annum. Please feel free to contact me when you arrive Roxas City. I’ll be glad to show you all options and help you find your most suitable property. I bought a land with San Antonio Subdivision. I am not sure what phase 4?. It is next to the property of Father Michael Vasquez. I am interested in a one story like the Stella. Could you give me more information? I am not sure if the lot is ready for building a house. Thank you very much. Hello Ma. Teresa. Yes house in baybay is still available. hi! im interested in buying a lot or house&lot in Roxas…can you tell me all the details on the Stella model of West Lake….payment schemes (including PAGIBIG), pictures of exterior and interior, furnished/unfurnished, etc. what does “We do Custom Built Homes” mean? for the same lot & floor area, i can modify the floor plan? are lots only available in West Lake? please just send everything to my email. thanks so much. Hi, I am very much interested in the caroline unit. I want to know if you can send me the computation (downpayment, monthly and so on.) . Hoping for your response. Thank you. 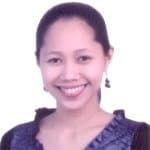 maam good day,,im interesting your house and lot in danica house.i will ask if you can accept trou pag ibig loan maam? Hello Edwin. We’re sorry but Danica house is no longer available. Hi Ms. Jen avail pa ba ngayon ang chesca 2 at elisha 2 nang puente acuna? At pwede po pa send nang quotations nung dalawa to my email at if avail po ba to tru pag ibig?thank you. Hi Lily. Yes, Chesca and Elisha are available designs but we don’t have a readily available house to move in right now. But you can build any of these units in your most preferred location in Roxas City. Are you just here within the city? We want to invite you for a site visit to the villages where you can build Chesca and Elisha. Me and my family are about to move in Roxas City, Capiz. Is there any rent to own 1storey house that has 2 bedrooms on it that is available? Will be moving there this coming 2018. Will be coming from Manila. Hi Sunshine. Thank you for the inquiry. As of now, we don’t have rent to own units in Roxas City. But it will only take between 3 and 4 months to build a 2-bedroom house. May we ask: What particular month do you plan to come to Roxas City? We want to invite you for a site visit to all available locations (near Eperformax) where you can build your house. Hi. I’d like to avail this chesca model. Hm is the downpayment and monthly amort. Is there an RFO? hi im interested to this can u send me quotation for this house and lot how much down payment and house need to pay para maka move in agad? kailangan ko po ung complicate DETAILS if possible…. hi i just want to know if may available unit pa kau near sa beach!magkano ung down saka monthly amortization if ever? Hi Connie. Thank you for the inquiry. We’ve already replied through email but we weren’t successful. We have available 3 units with 2 bedrooms and 1 unit with 3 bedrooms but the locations are not near the beach. Would you be interested to view the houses? But it will only take 6 months to build a house in your most suitable location in San Antonio Resort Village, our subdivision near the beach. Hi I want to inquire about Caroline & Prince, would you be able to send me a quotation in my email address? Looking forward for your response. Am also requesting all-in price quotations on the various models. Hello, good pm. Want to ask regarding caroline house..payment terms, downpayments and monthly payments. thanks! email me pls. We currently have a house in the West Lake Villas sub division. Looking to find a 2-3 bedroom 1 storey house located nearby – any suggestions. Hi David. Thank you for reaching out. We have already replied through email regarding 2-3 bedroom house.